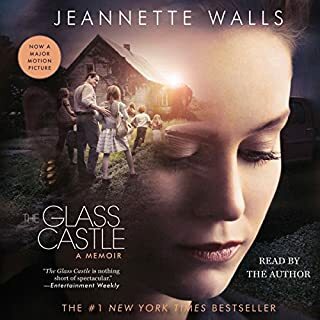 Jeannette Walls's memoir The Glass Castle was "nothing short of spectacular" ( Entertainment Weekly). Now, in Half Broke Horses, she brings us the story of her grandmother, told in a first-person voice that is authentic, irresistible, and triumphant. 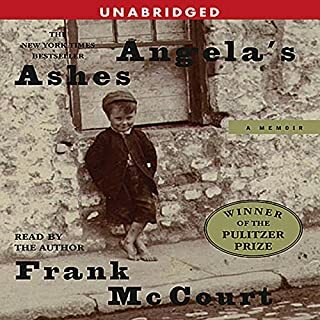 A BETTER BOOK THAN "THE GLASS CASTLE"
Why we think it’s a great listen: There’s no gentle way to put this – Frank McCourt’s performance of Angela’s Ashes is just better than the Pulitzer Prize-winning book. Frank McCourt shares his sometimes heartwarming, sometimes heartbreaking story of growing up poor, Irish, and Catholic in the Pulitzer Prize-winning memoir Angela's Ashes. Admit it, you gossip. Everybody does. But nobody does it as well as Hollywood insiders; they've elevated dishing the dirt to an art form. 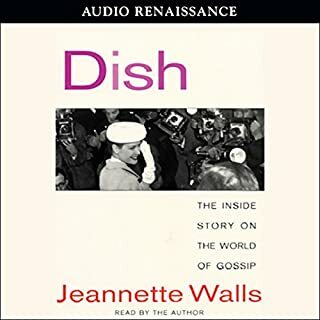 Now the ultimate insider, Jeannette Walls, serves up the biggest dish of all: a fascinating behind-the-scenes look at the last five decades of Hollywood. Get the juice from the stars themselves below in "Celebrity Chat". Listen as Frank tells in his own inimitable voice his story of how at the age of 19 he traveled from Limerick to New York in pursuit of the American dream. Despite the abundance of unsolicited advice he gets to "join the cops" and "stick to his own kind", Frank knows that he should educate himself and somehow rise above his circumstances. From one of the best-selling memoirists of all time, a stunning and heartbreaking novel about an intrepid girl who challenges the injustice of the adult world - a triumph of imagination and storytelling. It is 1970. "Bean" Holladay is 12 and her sister, Liz, is 15 when their artistic mother, Charlotte, a woman who flees every place she’s ever lived at the first sign of trouble," takes off to find herself." She leaves her girls enough money for food to last a month or two. But when Bean gets home from school one day and sees a police car outside the house, she and Liz board a bus from California to Virginia, where their widowed Uncle Tinsley lives in the decaying antebellum mansion that’s been in the family for generations. An impetuous optimist, Bean discovers who her father was and learns many stories about why their mother left Virginia in the first place. Money is tight, so Liz and Bean start babysitting and doing office work for Jerry Maddox, foreman of the mill in town, a big man who bullies workers, tenants, and his wife. Bean adores her whip-smart older sister, inventor of word games, reader of Edgar Allan Poe, non-conformist. But when school starts in the fall, it’s Bean who easily adjusts and makes friends, and Liz who becomes increasingly withdrawn. And then something happens to Liz in the car with Maddox. The author of The Glass Castle, hyper-alert to abuse of adult power, has written a gorgeous, riveting, heartbreaking novel about triumph over adversity and about people who find a way to love the world despite its flaws and injustices. I really had high hopes for this novel since Jeannette Walls' The Glass Castle is one of my all-time favorite books. But I was disappointed with this one. The story was quite elementary—I really feel the target audience may have been young teens, but it was not marketed that way. I wanted to love this book. I treasured Glass Castles and have recommended it to a dozen people. I was very excited that she came out with a fictional story. All the characters, landscape, and situations were set up for this to be a great book. I kept waiting for it to get started. With each new situation, or each new person met, I thought "oh,ok, this is going to be the meat of the story," yet it never happened. Then I thought, "that's ok, this is just a 'slice-of-life' story," but for a successful story like that, you need to know the character enough to care what they had for breakfast, and the depth just wasn't there in this book. There were so many really great characters in this story that Walls gave glimpses of. The older sister, the uncle, the cousin, and her black girlfriend were all promising, and interesting, and I wanted to know more about them, but Walls just scratches the surface and leaves you wanting more. Unfortunately, I was left wanting on all of the characters and possible story lines, which makes this story feel like an empty shell. I still gave it three stars because it is promising and because I did love the characters even from a distance. The complexity of the older sister and the way she dealt with heartache made me want to read an entire novel just about her. Because the book is overall so shallow it ends up being a story with dark tendencies told with a light touch, which isn't a completely terrible thing. Okay story but a little disappointing! I did like this book but I loved Jeanette Walls' other books. This book was her first book of fiction and I felt the story was a little lacking. I can't really say why. It just left me wanting more. I had really high expectations for this book and it left me a little disappointed. There were times Wall's chipper voice seemed incongruent with the events, for example: the girls, alone on a cross country bus, after fleeing the child welfare agents, finally escape a pervert that has been stalking them the entire trip. The passengers, who have silently observed this drama, sit back, applaud, then laugh at the site of the pervert stamping his feet and wringing his hands in the dust of the departing bus...I could hear the smile in Wall's voice, but couldn't connect to any humor, and if I had the courage (I'm going to get slaughtered here), I'd probably give this a 2 1/2 * rating overall. 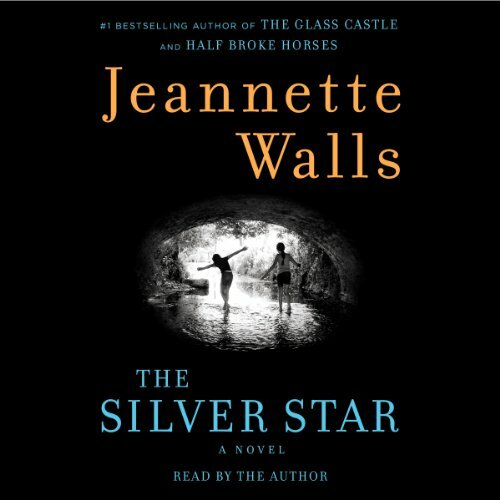 Even though Silver Star isn't as moving as Glass Castle, or as forgiving in its portrayal of a narcissistic, absentee mother, fans of Walls will probably appreciate the story and find it an entertaining, worthwhile listen. This was just an ok read for me, and likely due to my own frame of reference. So unlike most people, I read this book with no expectations, and only read the Glass Castle once I'd finished, and I don't know. I think I liked this better. True it started to drag a bit at some parts, but that didn't overly distract from the interesting plot. I adored this book and will most likely read it again when I'm looking for something comforting and familiar. No--the plot is too predictable in many important regards. 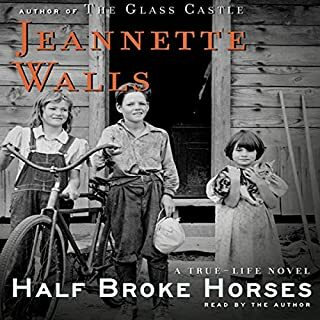 Would you listen to another book narrated by Jeannette Walls? I have read all of her other books--this is the first one to which I did not give 5 stars, but I am not sure I would try her next book after this disappointment. What would have made The Silver Star better? I have read the two other books written by Jeanette Walls and was looking forward to this work of fiction. I could not have been more disappointed. The story and character development was lacking. The story mirrors many others about small towns and the stereotypes of its residents ("lint heads", old southern money, racial unrest...). Her other work was interesting perhaps because it was true and therefore was captivating. In her next book, I hope she spends more time developing the characters and a more engaging story line. Good luck! Read this book since it was our book club choice. Enjoyed it. Not deep. But the motherhood vs the kids.."..strange and not believable. Would you ever listen to anything by Jeannette Walls again? What didn’t you like about Jeannette Walls’s performance? I think that this would make Jeannette Walls first fictional novel as her first book was a personal memoir and her second book was a fictional true story about her grandmother. 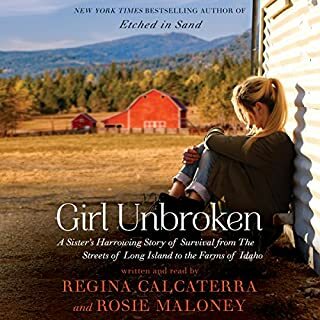 Both her previous books were well written page turners despite the shocking neglect and emotional abuse she suffered in the pages of her life. I was very anxious to get this book and eager to start right away. The Silver Star is set in 1970. Fifteen year old, Liz and twelve years old, Bean plowing through their less than idealistic life, seemingly on their own. 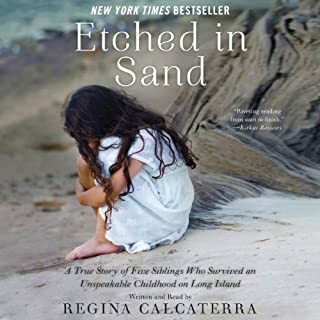 Walls characters and situations in this tale are not a leap away from Walls own childhood – abandonment, mental illness, siblings raising siblings, selfish parenting. It’s a coming of age tale set during the Vietnam war in a town at the ebb of racial segregation. So, it’s surprising that I felt it was lacking. It dunked it’s toes into so many meaty topics but, just the toes, never deeper than the knees, before quickly jumping out and moving to a different topic. Was it rushed or just undeveloped? I just know that this book didn’t pack a wallop, for me that her previous books have. Oh sure, Jeannette Walls is a wonderful writer and once again her vagabond characters make for an interesting adventure. I know I will be reading her for years. Though, I don’t know how many self-centered neglectful mothers I am going to be able to take from her.